The only function it failed to serve was to get Kaylee out earlier. Can you imagine a full-term pregnant woman turning a large slab of table over, then went at it with hammers and nails? This entry was posted on Monday, January 9th, 2012 at 11:39 pm	and posted in hardware. You can follow any responses to this entry through the RSS 2.0 feed. All pretty and professional looking. Great job! For my first I went for a LONG walk to try and induce labor. I ended up getting regular contractions to five minutes apart for an hour so we got in the car to go. As soon as I sat down the contractions stopped and my back was really sore for three days. Now I usually discourage other women from doing this. doh! i know, sometimes i think babies come at their own pace — all the inducing (besides medical ones) are just coincidence! but some people swears by certain methods! Am so envious. Need something like that myself. I have been so out of the loop on my blogs (due to a bit of a crazy year), but I didn’t know you had a baby! Congratulations!! That’s so awesome and she is beautiful! 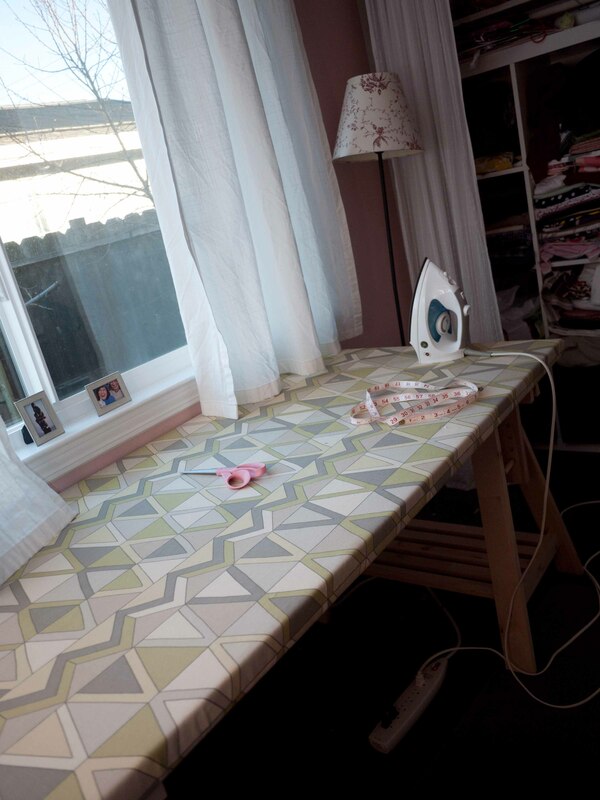 It looks like a great sewing/ironing space. I wish I had something like that. Ha, babies never listen when we want them to do something, do they? 😉 They take their own time coming into this world.